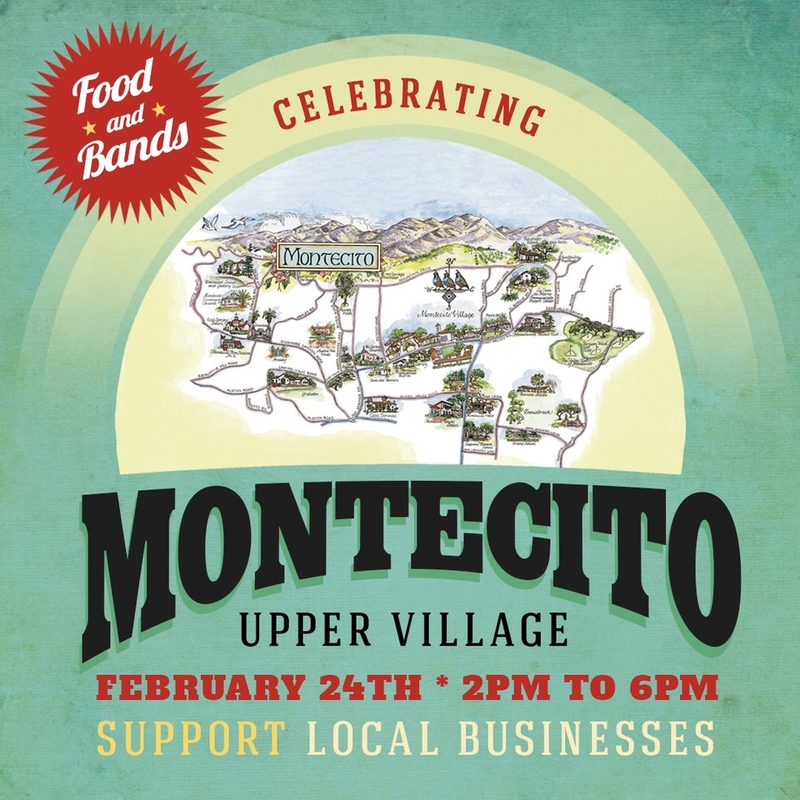 The businesses in the Upper Village have really suffered during the recent events, and have lost as much as forty percent of their annual revenue during closures over the holidays. 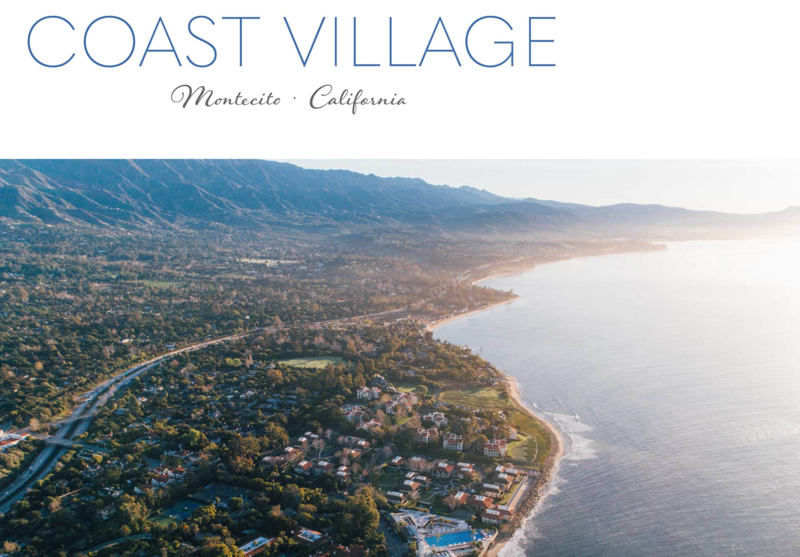 Federal disaster relief money has been approved for those affected in Montecito to help offset emergency response and recovery costs. The SBAOR (Association of Realtors) has been doing research regarding insurance. We've been very concerned that the Firefighters did a great job to save homes (which had fire insurance) only to have them wiped out by a mudflow and not covered unless the owner had flood insurance. We want to make sure that NO homeowner loses everything. We have been in conversation with many insurers and it appears that most will recognized the cause of the damage to be “fire,” and therefore cover the claims. The first responders, construction workers and utility companies have been working around the clock. Below are a few helpful tools to stay up to date. Click on the link below to find available housing for those still displaced. 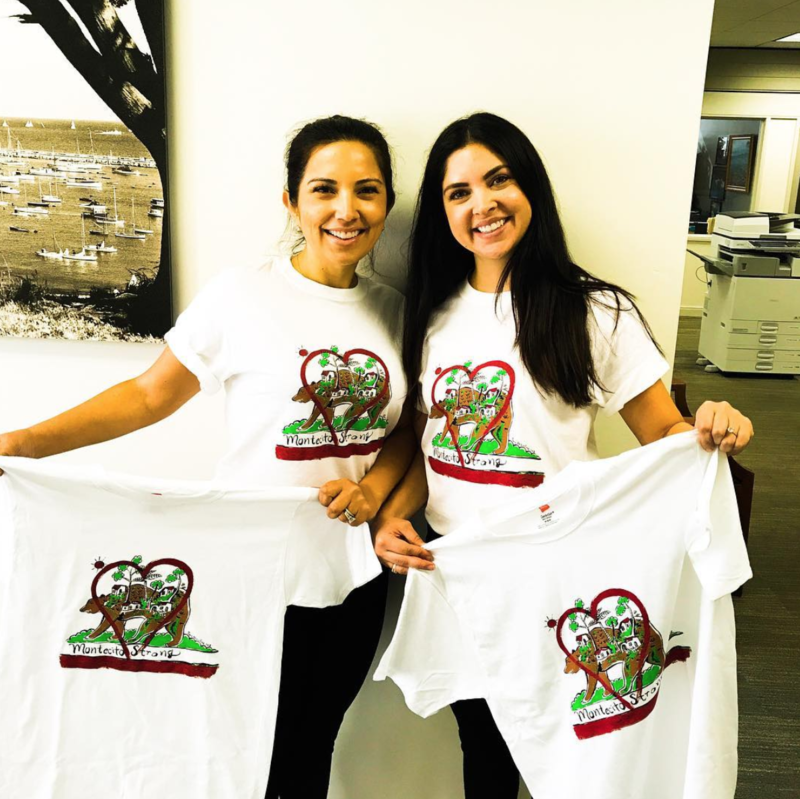 The Thomas Fire Fund organized by the United Way has expanded to also provide relief for victims of the deadly mudslides that occurred in Montecito. United Way's #ThomasFireFund campaign has been renamed #FireandFloodFund. 100 percent of funds sent to United Way will go to the victims of the two disasters. Anyone interested in donating to the Fire And Flood Fund should visit the fund's website or by texting UWVC to 41444. Direct Relief has purchased water rescue gear, search and rescue gear and an all terrain vehicle to assist with recovery efforts. Direct Relief is based out of Santa Barbara County and has responded to hundreds of humanitarian emergencies across the globe. To donate, click here. New Life Church in Santa Barbara has set up an easy way to donate towards disaster relief efforts on their website. Click here to go directly to the donation page. Type in the amount of money you would like to donate and select "SB Mudslides Assistance" from the drop-down menu. The Santa Barbara Foundation is dedicated to supporting the organizations that are standing by you and assisting you and your families, neighbors and friends during this difficult time. We have worked together for ten years through the Aware & Prepare Initiative to build preparedness and capacity to better respond and recover from these disasters, and we will continue to invest in making sure that our communities remain vigilant. Please join us to support these agencies in recovery efforts by contributing to the Community Disaster Relief Fund. A Celebration of First Responders! 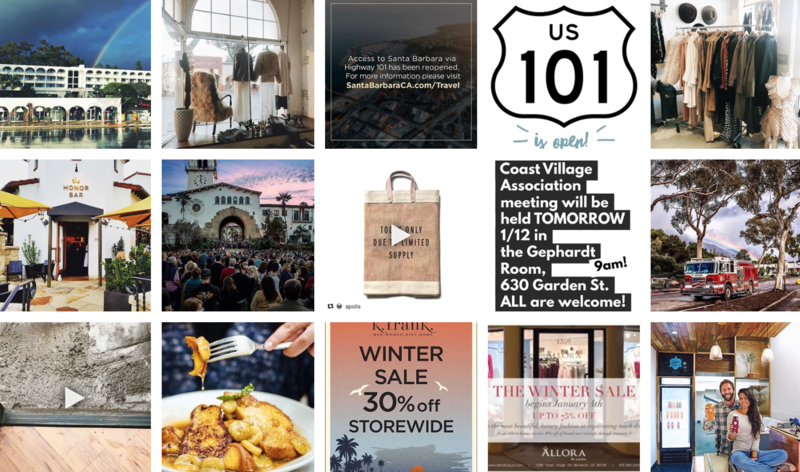 Local community members and organizations are coming together to produce the Thomas Fire Benefit Festival to be held on February 3rd at Plaza Park in Downtown Ventura. The goal of this benefit is to raise funds to assist deserving fire victims as quickly and directly as possible and help Ventura County recover from this historic travesty. THE STRENGTH IS IN OUR COMMUNITIES! A BIG thanks to the Easter Team at Berkshire Hathaway, Pedro De La Cruz and Martin Design Company! 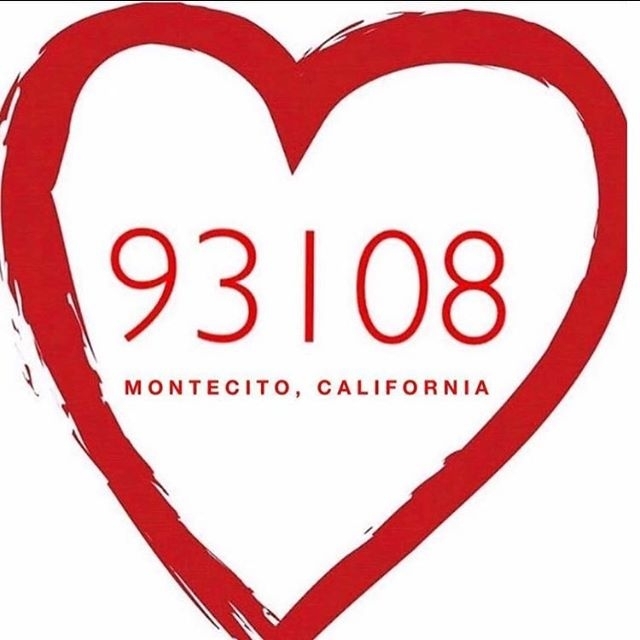 Montecito Strong shirts are sold at the Berkshire Hathaway office 3868 State Street $39 each, 100% of proceeds go to a cause of your choice! 1) 93108 Fund- The fund benefits those who depend upon jobs and services provided to our community and who will suffer from immediate loss of wages and livelihood. 2) Santa Barbara Support Network-Offers to support the immediate needs of families impacted by the recent mudslides, who have lost homes, loved ones and belongs. 3) Go Fund Me- Choice of any of the Go Fund Me support pages. Many brand companies are donating 100% of their proceeds to United Way SB. Visit their online stores at Bonfire to shop for a cause! 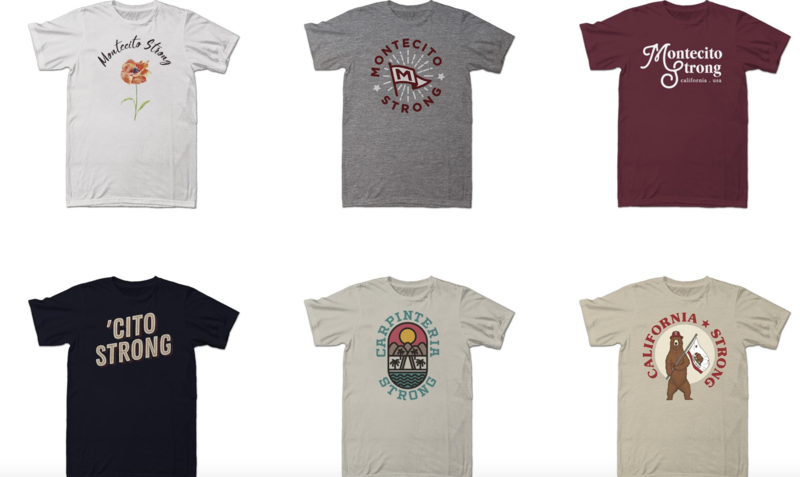 Handlebar Coffee Roasters of Santa Barbara are honored to help those affected and help rebuild with jeans, shirts, jackets, socks, underwear, and backpacks for men women and kids. Local Business on Coast Village Road are suffering due to the evacuation orders that were in place much of December and January. Please support them at their online stores or visit their temporary locations during the road closure.